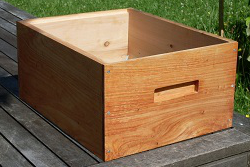 Langstroth type beehive sizes available in 1/2 Sized, 3/4 Sized and Full Sized. These are made with macrocarpa timber. 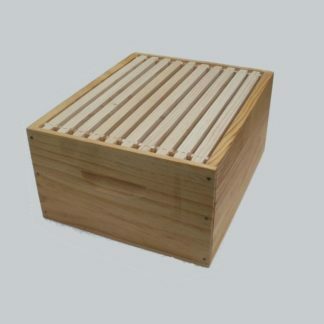 These hives are designed to the Langstroth type hive sizes, and available in Full Sized and 3/4 Sized. 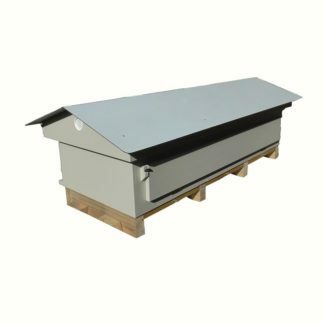 We use the full-sized box for our the bees brood boxes and the 3/4 for the honey supers (Much easier to carry when full of honey). These boxes are made New Zealand locally sourced macrocarpa. Macrocarpa is one of the most naturally durable exotic softwoods grown in New Zealand. It is resistant to insect and borer attack in its sawn form. The boxes have been painted with Linseed oil to further preserve them for years of use and include a recessed handle on the front and back to help you lift them.